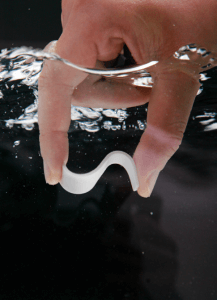 All these aspects have massively improved from the first time RFID tags were used for laundry years ago. There are several good options when looking for an RFID tag to track your uniforms or laundry. Interestingly RFID tags for uniform and laundry tracking also come in various frequencies. What used to be a domain of low or high frequency is increasingly being supplemented by UHF, which allows for longer read ranges, reading more tags at the same time and expanded user memory. The tags also differ by way of attachment. 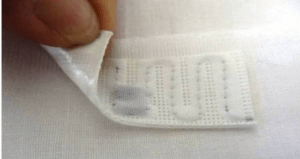 They can be sewn in (usually disc/button form factor or rectangular shape inserted into a seam), adhered (using industrial-strength adhesive) or as a hangtag. One of the Low and High Frequency tags is Logi TagTM. Their discs are easily sewn into the hem or seam of a garment, uniform, napkin, tablecloth or runner. 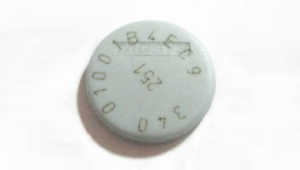 The Logi Tag Button 162 transponder is indistinguishable from ordinary buttons, and can be sewn onto clothing with standard stitching equipment and processes. Tagsys BluTAG BluTAG is one of the sturdiest and most resilient encapsulated HF tags available on the market today, specifically designed for industrial textile products, including flat linen, for identification in rough industrial laundry environments. Small size and white color make it ideal for incorporating into garments. Chip ID laser-marked directly on tag for additional visual identification. Another great option, this time in UHF, is the Fujitsu tag WT-A521 and A522. 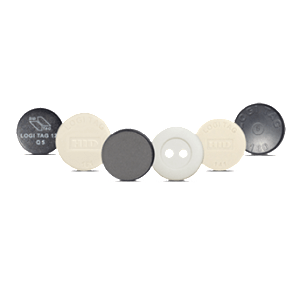 TAGSYS’ LinTRAK UHF tags have been specifically designed to meet the tracking requirements of the laundry industry in terms of shape, robustness and ease of fixation. The LinTRAK B features a unique ultra-strong, heat-resistant thermosetting adhesive for direct fixation onto textile products using a standard thermo patching process, while maintaining market-leading read and write performance. This is a tough 14mm/0.5” laundry tag with an Ultralight NFC chip designed to withstand heat, pressure and chemicals. 5mm thick with rounded edges. For use in laundry/clothing but this tough little tag is useful in all kinds of asset tagging, jewelry and other uses. Can withstand up to 140°C/284°F. The disc is supplied plain dark grey (almost black) on both sides but can be printed with a logo if required. Often used for laundry or identification but also found in other systems where a small proximity card is desired. In the next post we will explore RFID readers for uniform and laundry tracking.